Redbones celebrates International Women’s Day! 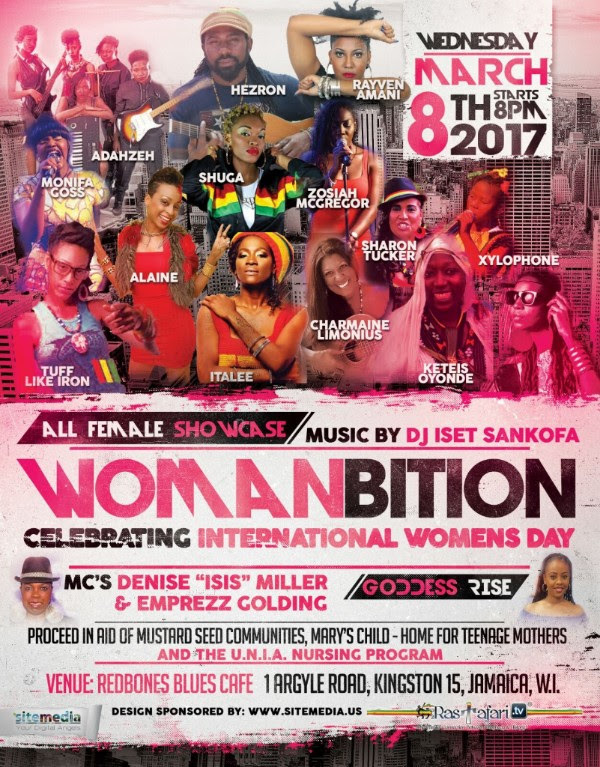 Rassis International, Simiya House & Conscious Reggae Party in association with Stanley & Empress presents Womanbition 2017! This show features Alaine, Tuff Like Iron, Charmaine Lemonius, Keteis Oyonde, Shuga, Italee, Adahzeh, Sharon Tucker, Zosiah McGregor, Monifa Goss, Xylophone & Herzon. While the event is Free, donations are accepted. Proceeds are in aid of Mary’s Child which is a home for teenage mothers and the the UNIA Nursing Program.